Teaching Computational Creativity examines the new interdisciplinary pedagogies of today's coding-intensive interactive media and design curricula. Students, researchers and faculty will find a comprehensive overview of educational practices pertaining to innovation fields such as digital media, 3D printing, agile development, physical computing, games, dance, collaboration, teacher education and online learning. 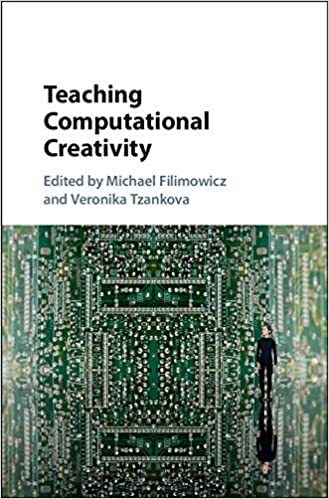 This volume fills an important gap in the literature on creative computation, as practitioners are rarely challenged to reflect on or share their teaching practices. How do we design effective inter-, multi-, cross- and trans-disciplinary pedagogy and curricula? Brought together here are essays on the pedagogies that produce the so-called 'unicorns' - graduates who can code and create. Here, the intertwining of (what many consider mutually exclusive) artistic sensitivities and computational skills plays an essential role, calling forth a new kind of undergraduate curriculum attuned to the interweaving of skillsets and theoretic knowledge needed to create and innovate with ever-changing technologies.